Ladies $2 Flip Flops & $3.50 Sandals! 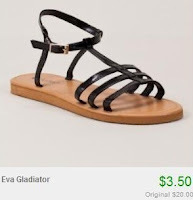 I just posted about the cheap girl's flip flops, but I just found another awesome shoe deal on Totsy. 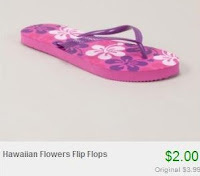 Check out the Mom Sandal Shop sale to find ladies sandals starting at just $3.50 and Moms Flip Flop Shop sale to find $2 flip flops! There are tons of different styles to choose from.